Welcome to the second installment of Project WMD - The Weapon of Mass Destruction. It has been a while since the first part of this project was published on bit-tech.net. 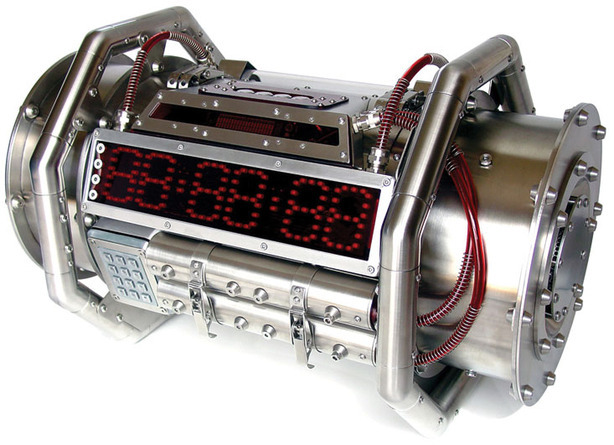 For those who may have missed Part I, the aim of this project was to build a completely custom-built computer case, out of stainless steel, that would look like the sort of atomic bomb that one sees in spy movies or on TV shows like 24. I tried not to base the design on any real or fictional bomb, but simply out of my imagination. WMD Part I explains the concept of the project and the initial fabrication in some detail. In this article, I will be continuing right from where WMD Part I left off, detailing each stage of the case's construction. Very soon will follow WMD Part III. There is a lot in here and I don't want to give away any pleasant surprises, so have a good look and you might pick up some hidden gems. Being an occasional modder, various real-life events had taken me away from the project, and modding generally, until December last year, when I was asked to bring a mod along to the Atomic-Live event in Sydney, Australia. The event was a smashing success and a whole bunch of Aussies got to see a very different WMD. Since then, I've moved to a farm and changed careers, so only lately have I been able to write up the rest of the project. With over 1000 photographs edited down to a final 500 or so, I've managed to cover about 80% of the work done since Part I. Regrettably, a few CDs of photos went missing after moving house, so some things can't be covered here or only have a few photographs. I have been very lucky and received a lot of support for this project from a number of companies. This support was solely in the nature of providing me with the components needed to build the computer system inside the case, with the single exception of Modders' Mesh from mnpctech.com. The time and cost of the build and materials of the actual case were mine alone. All of these sponsors were approached after I had planned exactly what system I wanted to put into the case. I planned for the very best components available at the time and each of the manufacturers and suppliers of these components were enthusiastic in their responses. Some even custom-built components to my specifications. I often got far more support than expected - sometimes simply in the form of enthusiasm and encouragement, essential to a big project. Besides the big manufacturers, a number of other businesses helped out greatly and included guys that work directly with modders or are modders themselves. Big or small, I couldn't have even gotten started without their help. These guys support modding, so if you are a modder, or even planning a project, and need cutting-edge, check out their website links below, and support the people that support and encourage what we do. Of course, a big shout must go out to all the other members of the bit-tech.net team (staff and community both) for all their support, both personal and project, and the great work they do to make this one of the best modding sites in the world.